Neptune class is one of our Year One classes, they are taught by Mrs Hicks. Children in Neptune class will also be supported by Mrs Miller and MrsMcGill. 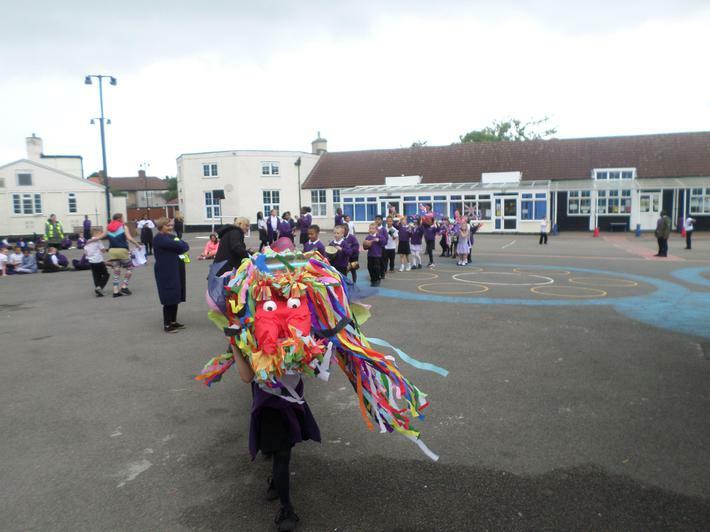 a giant dragon and paraded around the whole school! 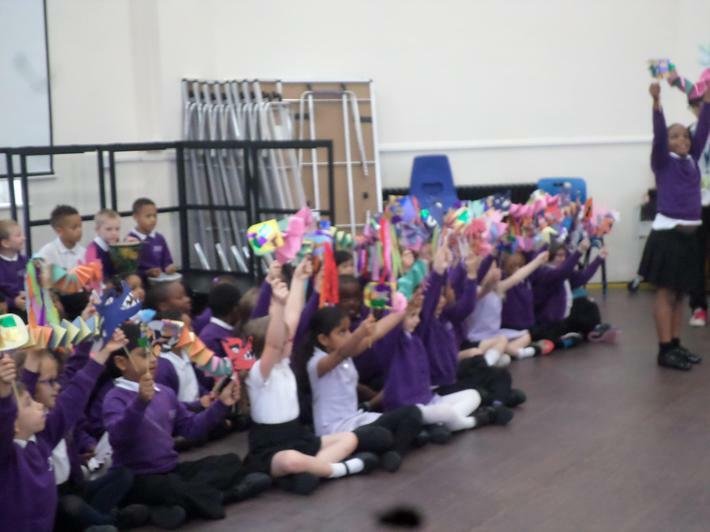 We also made miniature dragon puppets and paper fans. 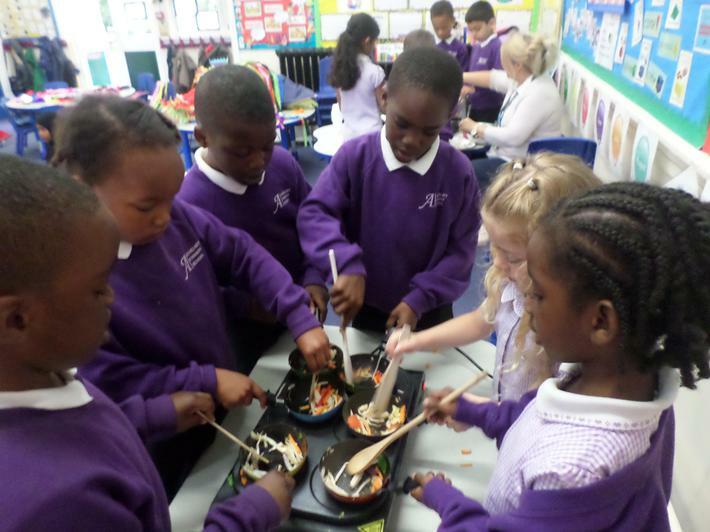 We tried our hand at Chinese cooking and every child had a wok of their own to make a delicious stir fry! 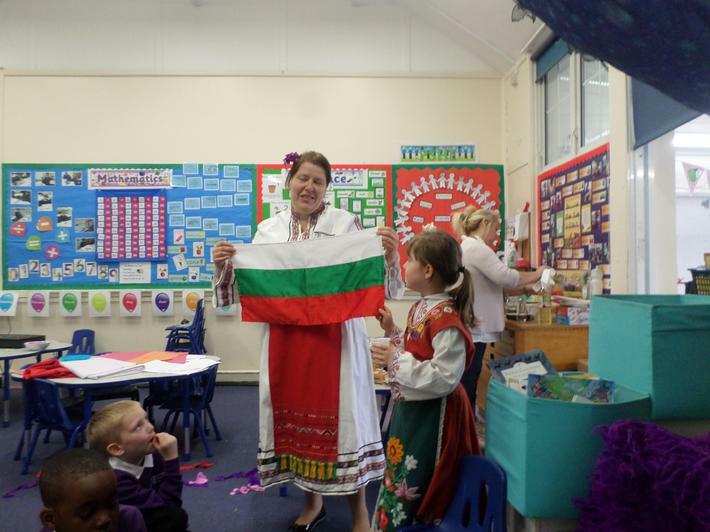 Christine's Mum came in to tell us about Bulgaria - Thank you Christine's Mum!